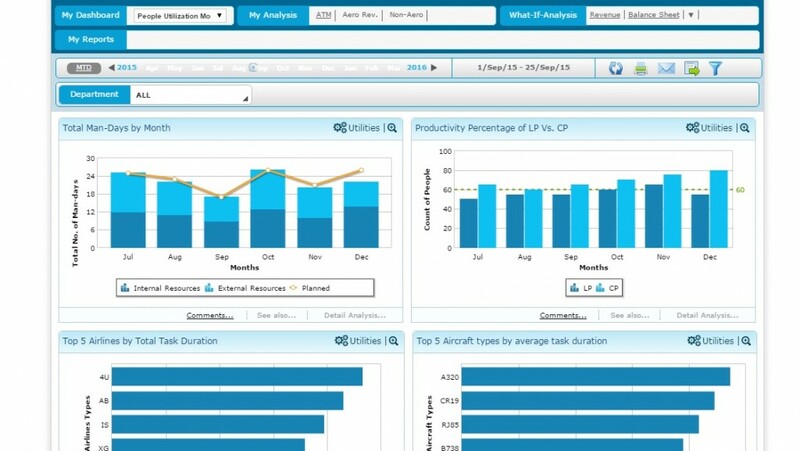 Analytics for your operations from touch-down to take off! 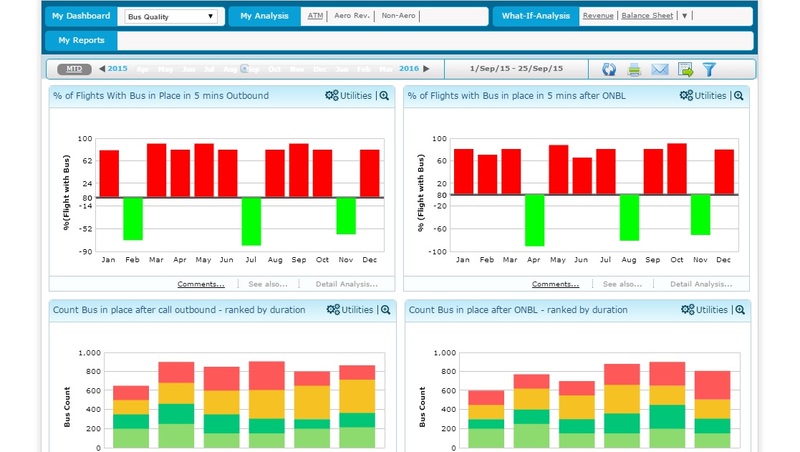 Airport Analytics (AA+) provides analysis for volumes of baggage – originating, terminating, transfers, oversized – with respect to terminals, airlines, destinations across time periods. 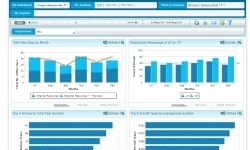 The solution also provides analysis for volumes of mishandled baggage, reasons for mishandling. 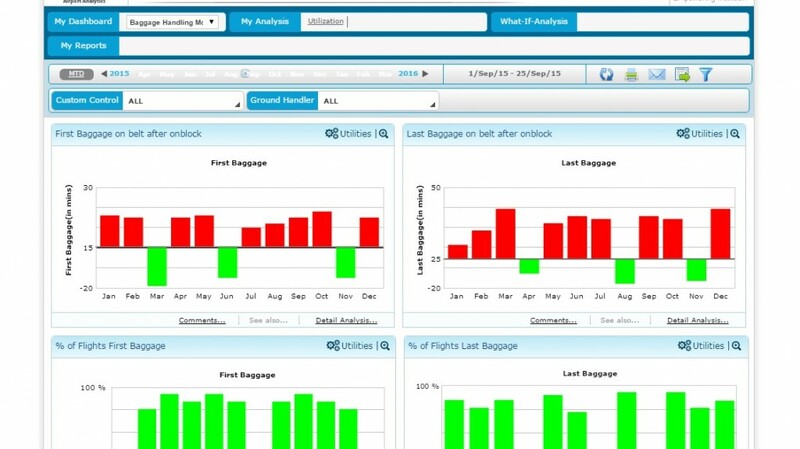 Airport Analytics (AA+) also provides real-time baggage dashboard that enables the ground handler to arrange for accurate transfer of baggage from terminal to terminal during shorter connection times. 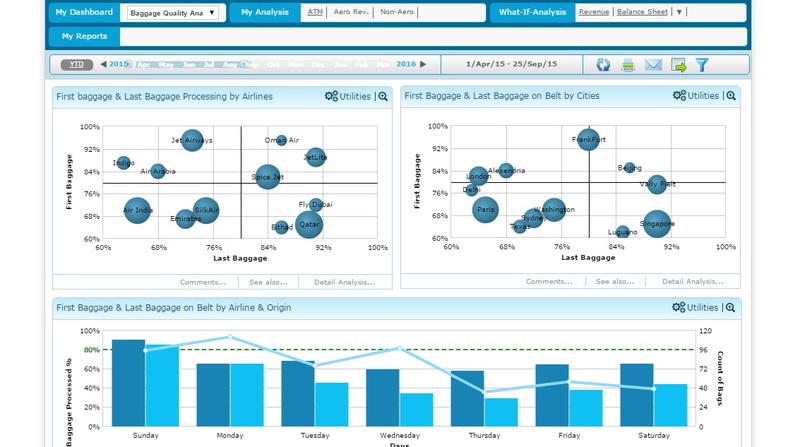 This module provides insightful analysis on first & last baggage on belt by cities, airlines, flights etc.